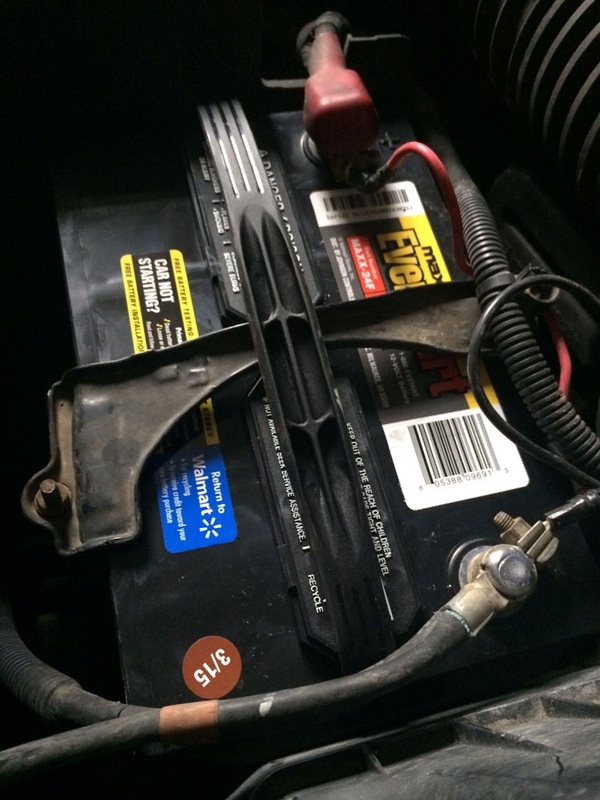 It has been 6 years and 200,000+ miles (time has zipped by) since I made an emergency battery replacement in my 2006 Honda Pilot while driving to Cleveland … and it happened again. I pulled off the highway and when I tried to start the car all that I heard was a “click, click, click.” I had thought the compressor/jump starter battery pack in the back of my car was fully charged, but it looks as if that battery is dead too. Thankfully a good Samaritan gave me a jump start which was good enough to get me to a Wallmart once again. Thankfully they weren't busy and even gave me a few dollars credit from the pro-rated life for my 6 year old battery. All in all the detour only cost me about an hours and $73.00 … and I'm not even a fan of Walmart (may have to change that).